Options: Several people decide to have decorative tattoos in youth although live to regret this decision. Options for tattoo removal include surgical excision, dermabrasion, and laser. Surgical excision is best performed for a small tattoo on loose skin however always leaves a scar. Dermabrasion involves sanding the skin with a rotating wire brush and may leave a scar or a pale area. There is a chance that even after several treatments, the tattoo may still be noticeable. The results seen by dermabrasion depend on how deeply into the skin layers the tattoo ink was injected. The deeper the injection, the less likely that dermabrasion will have good results. Laser removal has become the treatment of choice. Laser Tattoo Removal targets tattoo ink and rapidly heat it. Heat causes ink to expand and break up into smaller particles. The body more easily absorbs these smaller particles. Each treatment will likely cause mild discomfort, comparable to a small rubber band snapping against skin. Most patients are able to tolerate the mild discomfort when it is within a small area. When a larger area, like a full arm or back is being treated, the discomfort may interfere with the procedure. Discomfort can be minimised by the use of ice, sedatives, pain medications, or injections of local anaesthetic. Talk with your surgeon about ways to minimise the discomfort if this is an area of concern for you. Each laser targets a different family of colours. To totally eliminate a family of colours, two to four sessions may be needed. Since most tattoos are comprised of multiple colour families, several lasers may be required. For example, if three-color families exist in one tattoo, and each family of colours must be targeted three times; a total of nine laser sessions will be necessary. Various tattoos require 2 to 20 laser treatments for complete removal. Many other factors determine the number of treatments necessary. Tattoos achieved in a tattoo parlour are difficult to remove because professional tattoos are typically deep, dark, and made with complex ink. Homemade tattoos are variable in their difficulty of removal based on the type of ink used and the depth they were placed. New tattoos are difficult to remove because they have a higher concentration of ink than old ones. Older tattoos have a lower concentration of ink because as a tattoo ages, the body absorbs some of the ink. Turquoise tattoos are particularly challenging to remove, because no laser effectively targets that colour. Red, white, and flesh coloured tattoos are also troublesome, as they may turn black after laser treatment. The total number of treatments required cannot be established with certainty at the outset. The common range is between 3 and 12. Treatments may be performed every one to two months or may be spread out over some years. The tattoo will start to fade one week after each treatment and will resume to fade for several months. 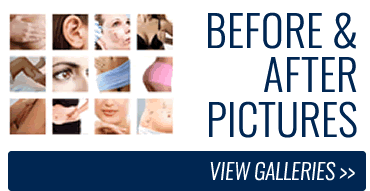 Some prefer to save money by discontinuing treatments before the tattoo is entirely removed. Others pursue laser therapy until there are no detectable signs of the tattoo. Some individuals choose to over-tattoo (cover-art) to hide an undesirable tattoo. This is particularly common when the original tattoo contains the name of a former lover. If you have done this, expect that you will have to have even more laser treatments. The typical cost is $150-$450 per session depends how big the area is. If your tattoo is extensive, expect to pay more.